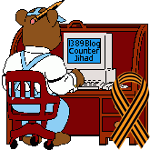 Why Conservatives Need to Geek-Up (Part 2) — 1389 Blog - Counterjihad! When I was growing up, if I had a question, I was often encouraged by a parent or teacher to go look for the answer in a dictionary, the encyclopedia, or in the library. Students of all ages have it a lot easier, as they often need to go no further than their closest internet connection, so that they can Google, Yahoo, or Dogpile, or Ask Jeeves for the answers to their questions. It’s so easy, and convenient. Just type in a few keywords, and voila! Often hundreds of pages of information is instantly available on any given topic. But we don’t sort through all of those pages, do we? I personally almost never go past the first, second, or rarely the third page. So who controls what information populates those first pages? There is an entire career field dedicated to getting websites promoted to this highly coveted location, called search engine optimization (SEO). There are directories, crawlers, and paid listings. Organizations such as SearchEngineWatch.com offer suggestions online for getting websites closer to that front page, and explaining the hierarchy of search engines. Google PageRank’s webmaster center explains, “In general, webmasters can improve the rank of their sites by increasing the number of high-quality sites that link to their pages.” High quality sites, as it turns out, are pages that have a lot of traffic, and have lots of other sites linking directly them. See a pattern? The more links you have to your site, the more traffic you will get, hopefully resulting in more links. There is a compounding effect. Why do conservatives need to understand this? As we discussed in part one, there is a noticeable liberal/progressive majority in the politics discussions of any of the social networking sites, which extensively utilize the newest technologies and the art of collaboration. This is also reflected in the information that is available online through a typical search. The compounding affect of the search engine algorithms assures that the majority view will continue to be the majority view. Want to test this theory? Try the following searches in any of the search engines, and see if the first page leans right or left: Iraq war, immigration, or gender. Curious about where your favorite websites rank on Google? Try this free PageRank checker.